Comments: This parasite is always found growing on a plant whose branches or twigs it does not resemble. 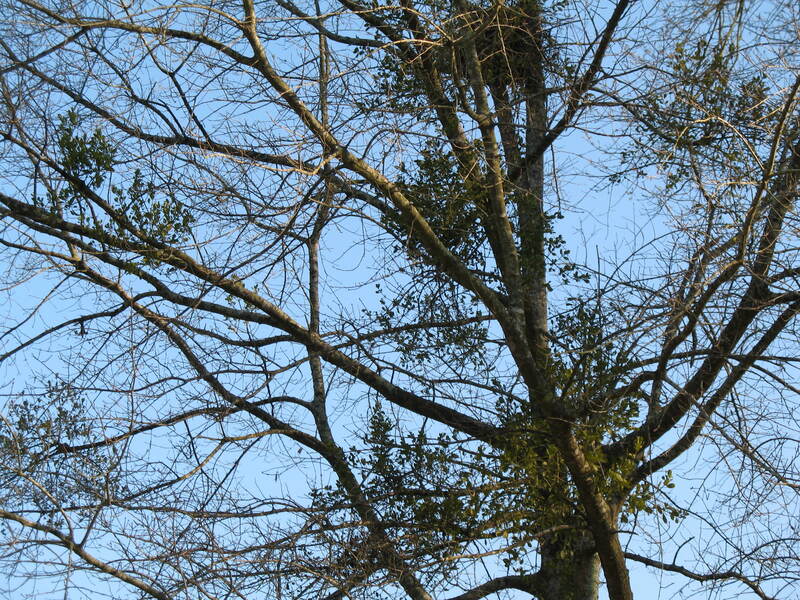 This mistletoe has thickly crowded, forking branches. It bears small leathery leaves and yellowish flowers and produce waxy-white berries containing poisonous pulp. A modified root penetrates the bark of the host tree and forms tubes through which water and nutrients pass from the host to the slow-growing but persistent parasite. Infestations of mistletoe can be large enough to cause reduced growth or even death of the host plant. Birds eat the sticky berries.